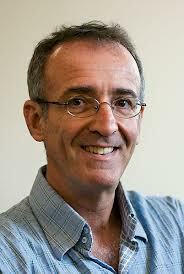 David Kazmer is President of Kazmer Research LLC and a Professor of Plastics Engineering at UMass Lowell. He is the recipient of more than 10 different recognition awards, an inventor with over 20 patents, and the author of more than 200 publications. His academic work is motivated by industry experiences as an engineer at General Electric and as Director of Research and Development at Synventive Molding Solutions. He is a Professional Manufacturing Engineering licensed in the State of California. His teaching and research are in the areas of systems design, simulation, and optimization with a focus on machinery, sensors, and controls. Author: Osswald, T., Hernandez, J. 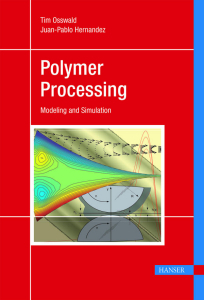 This book addresses traditional polymer processing as well as the emerging technologies associated with the plastics industry in the 21st century and combines engineering modeling aspects with computer simulation of realistic polymer processes. 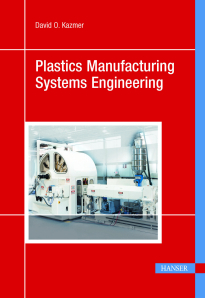 This book provides a polymer processing background to engineering students and practicing engineers. It is a three-part textbook written for a two-semester polymer processing series in mechanical and chemical engineering. The first and second part of the book are designed for a senior- to graduate-level course, introducing polymer processing, and the third part is for a graduate course on simulation in polymer processing. Throughout the book, many applications are presented in form of examples and illustrations. These also serve the practicing engineer as a guide when determining important parameters and factors during the design process or when optimizing a process. Examples are presented throughout the book, and problems and solutions are available. Tim Osswald is a Professor of Mechanical Engineering and Director of the Polymer Engineering Center at the University of Wisconsin—Madison. Originally from Cúcuta, Colombia, he received his B.S. and M.S. in Mechanical Engineering from the South Dakota School of Mines and Technology and his Ph.D. in Mechanical Engineering at the University of Illinois at Urbana-Champaign in the field of Polymer Processing. He spent two and a half years at the Institute for Plastics Processing (IKV) in Aachen, Germany, as an Alexander von Humboldt Fellow. He received the National Science Foundation's Presidential Young Investigator Award, as well as the 2001 VDI-K Dr--Richard-Escales-Preis. In 2006 he was named an Honorary Professor at the University of Erlangen-Nuremberg in Germany. 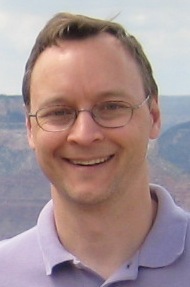 Professor Osswald teaches polymer processing and designing with polymers and researches in the same areas. Professor Osswald has published over 100 papers and many books for Hanser, including Materials Science of Polymers for Engineers 3E (©2012), Injection Molding Handbook 2E (©2007)Compression Molding (©2003), Polymer Processing: Modeling and Simulation(©2006), Plastics Testing and Characterization (©2008), International Plastics Handbook (©2006), and Understanding Polymer Processing(©2010). Professor Osswald has also been consulted by several industries, is one of the co-founders of The Madison Group, and is the Director of the Technical Advisory Board of SIMTEC Silicone Parts. Plastics failure, to a certain extent, is the result of a phenomenal increase in the number and variety of applications in relatively few years. The focus of this book is on actual field and product failures. The treatment is comprehensive, emphasizing cause and prevention. The concept of the interdependence of material, design, and processing is applied to all examples and cases. The "how to" of prevention is brought out as a logical extension of the cause of failure. Myer Ezrin hat 1954 in Chemie promoviert. Bevor er 1980 als Direktor des IMS Associate Programs an die University of Connecticut kam, arbeitete er in verschiedenen Funktionen bei Dupont, Monsanto and Springborn Laboratories. Dr. Ezrin ist ein Spezialist in der Polymeranalyse und der Analyse von Kunststofffehlern.